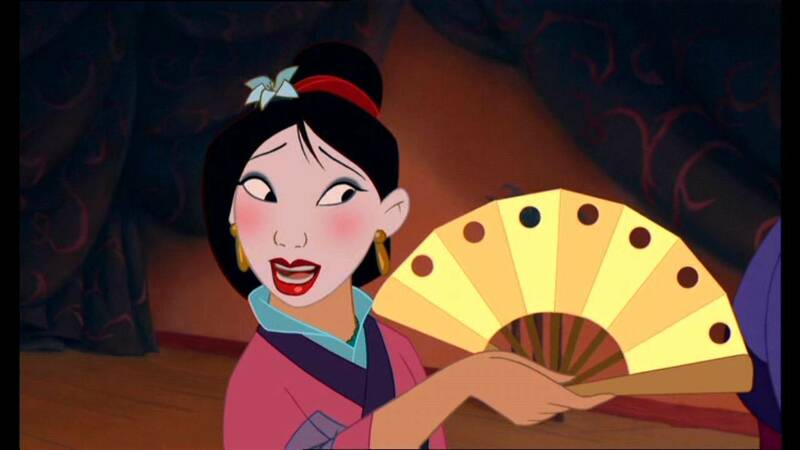 Mulan is one of the coolest princesses that Disney has. I’ve always loved her, and appreciate the Asian culture of the film, too. So I was a little disappointed in myself for scoring a 27 out of 31 in “The Ultimate Mulan Trivia Quiz”, but I really got stumped! Five dollars a joke? 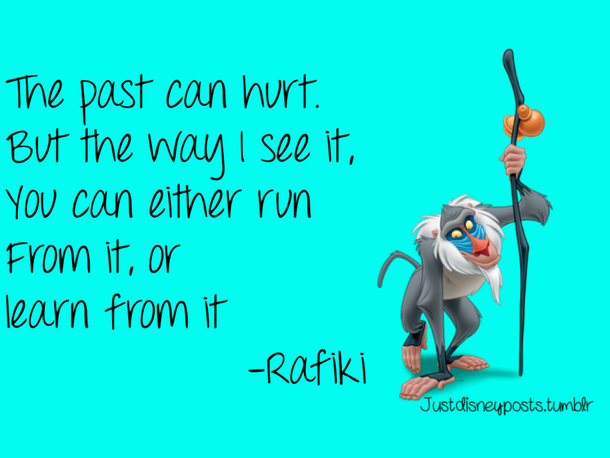 Walt Disney certainly had some creative ways to inspire… well, creativity! Disney would offer his artists a five dollar bonus if one of their jokes ended up in the movie. 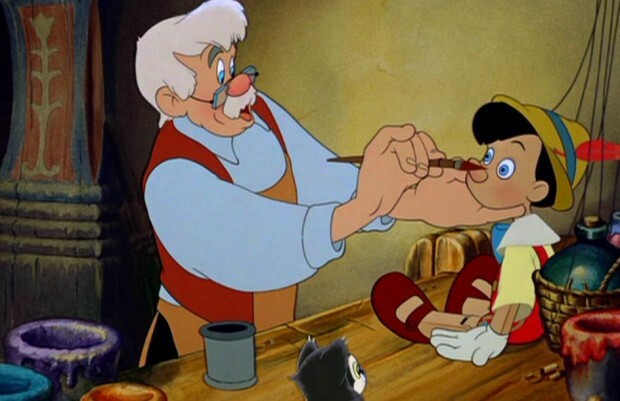 In the Pinocchio movie, most of the jokes are seen in the collection of Geppetto’s cuckoo clocks. It’s quite an eclectic collection! This one’s a winner! It’s an interesting twist on the normal banana bread recipe. By adding the strawberries to the bread, it keeps it moist and sweeter than usual. I was sort of put off by the idea at first, by now I am completely obsessed with this combination! You can enjoy this unique treat at the Wilderness Lodge’s restaurant, Whispering Canyon Cafe – or just make it yourself, it’s very easy! NOTE: First, let me start by saying that I had to tweak the recipe some. I added vanilla to it, no big deal. But the main problem was the temperature of the oven. The recipe says to preheat the oven at 325º for one-hour, which I know from baking that it would not be high enough, but I always try and follow the recipe exact the first time. At that temperature, it took the bread nearly 3 hours to bake! My instincts tell me that the bread should be baked at 425º, so next time I will raise it. 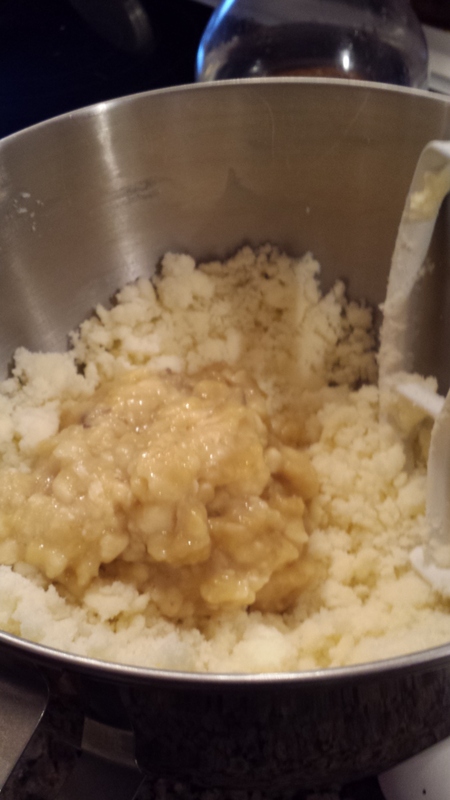 Start by mixing 1 cup of butter (room temp.) with 2 cups of granulated sugar. While they’re busy mixing and mingling, mash up those bananas. Any “Wiggles” fans here, hm? Mashed banana, mashed banana, *tweet tweet*. I used 4 bananas that were just turning brown on the peel. The recipe calls for six, but I only had four and I think there was enough banana flavor. 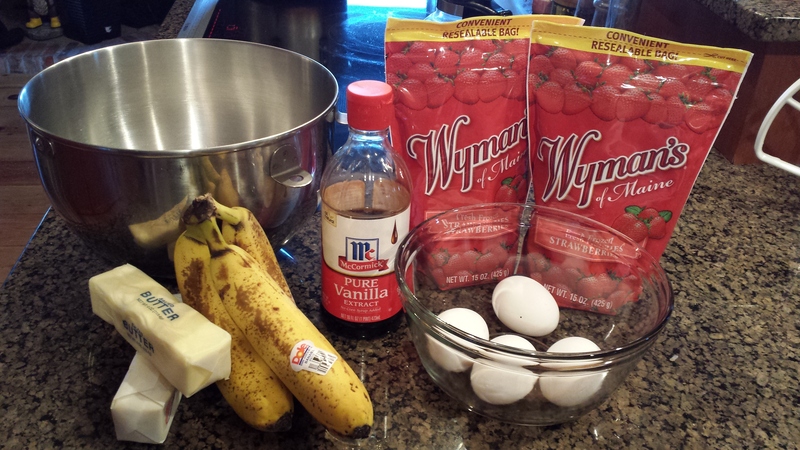 Add the mashed bananas to the butter-cream mixture and mix these ingredients together. This is also when I added my tablespoon of vanilla. I mean, how can you go wrong with vanilla? With the mixture running, add the four eggs in, one at a time, allowing each egg to blend into the banana mixture thoroughly. 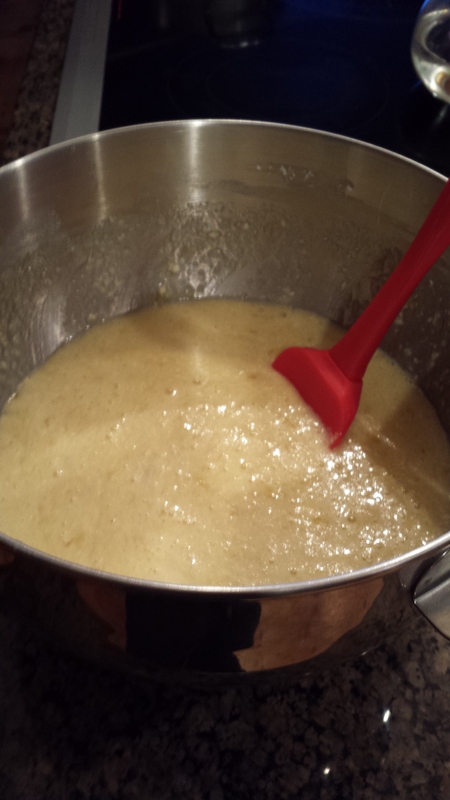 Once all of the eggs have been incorporated, remove from the mixer and set aside. In a separate bowl, add 3 cups of flour, 2 teaspoons of baking soda, and 1 teaspoon of salt and mix together. Please don’t skip the salt! I know, it sounds weird to add salt to a sweet recipe, but the addition of the strawberries calls for something to balance it out. 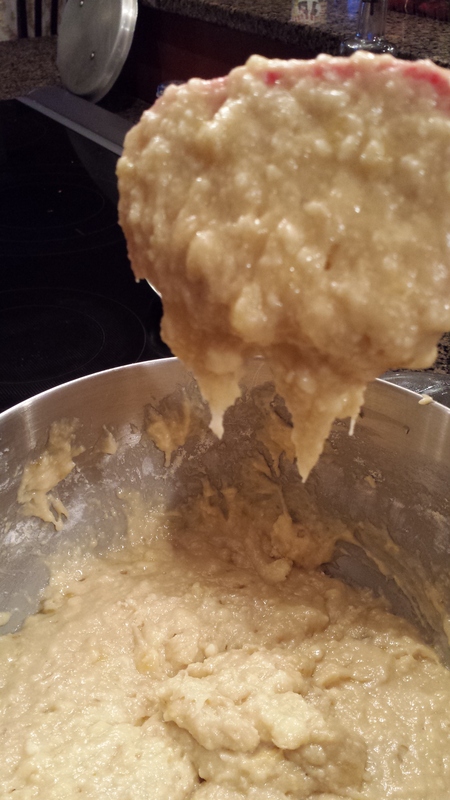 Add the flour mixture to the banana mixture, and gently fold the dry into the wet. The bread mixture gets very think, pretty quickly too. It’s a dense mixture. Now, you could stop here and have some amazing banana bread. Pretty simple, right? But this is where we add the ingredient that brings the pizzazz. 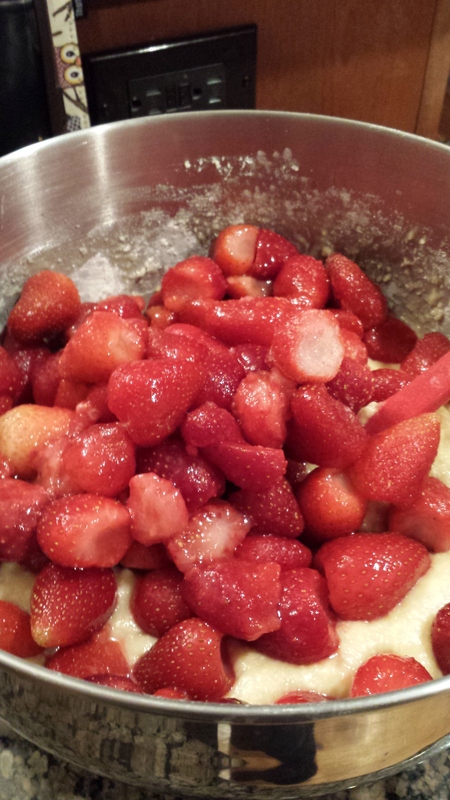 The recipe calls for 1 1/2 pounds of sliced frozen strawberries that have been thawed out. Well, I accidentally bought whole frozen strawberries, but I don’t think that matters much. Having the whole strawberries inside the bread actually looked pretty cool, and it made the dough around the strawberries chewier, almost with a more cake-like consistency. ***Please make sure that you don’t by the berries in juice or syrup. The bread will never cook with all that liquid. 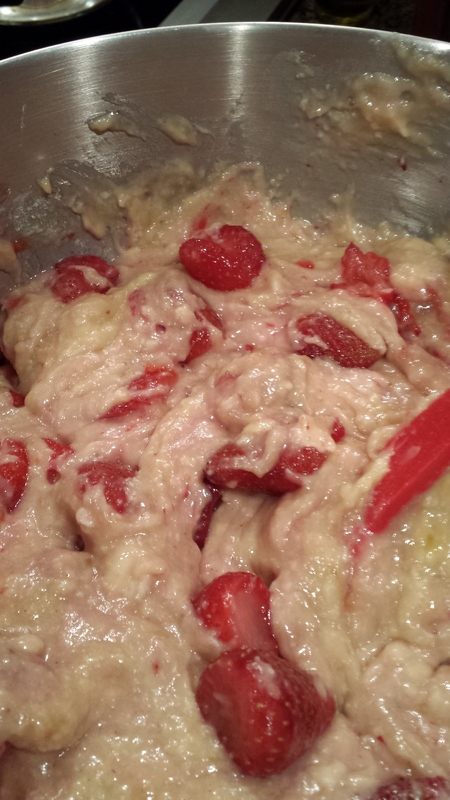 Add the thawed strawberries to the bread dough and mix gently to incorporate. 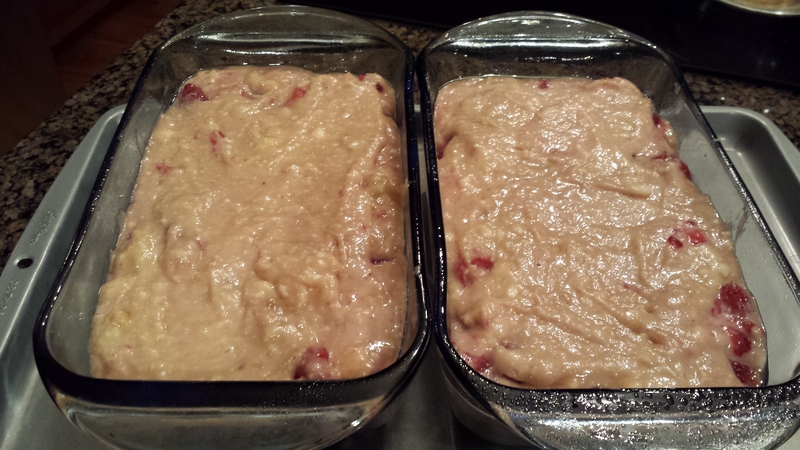 Now, divide the dough evenly into two greased 9×5 loaf pans. I like to put the pans onto a baking sheet so that it’s easier to remove from the oven. This is especially useful if your pans are made of glass, like mine are, because those buggers can be really slippery. Cook for one-hour at my recommended 425º. You’ll know the bread is ready when you stick a toothpick in the middle and it comes out clean. Always check both breads, though, as they may not cook at exactly the same speed, and Murphy’s Law tells us that if one is not fully cooked, and we have 50/50 odds, we will always check the fully-cooked bread. Yup. Believe it or not, but I don’t have a picture of the finished product! My family was so eagerly anticipating the bread, and the intoxicating smell had filled up our home for nearly three hours, so once this bread cooled, it was gobbled up on the spot. But believe me when I say that the bread as is beautiful as it is unique. You could also make these into awesome muffins, which is my plan for next time. They’re guaranteed to cook quicker and, hopefully, last longer! 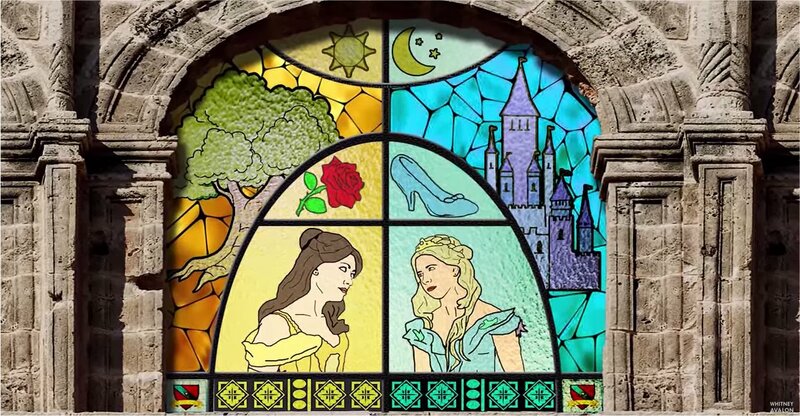 Check out good ol’ Buffy decked out like our favorite classic Princess Cinderella battle my heroine, Princess Belle! Super clever, pretty PG, and hilariously creative! With the new Cinderella movie premiering today, I thought it was appropriate to make Fact #159 about the classic princess herself. 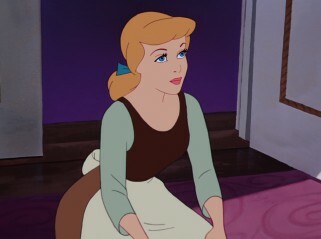 Ilene Woods, the voice of (the original) Cinderella, was the first person to use double tracked vocals, ever. It was a innovative technique thought up by Walt himself. 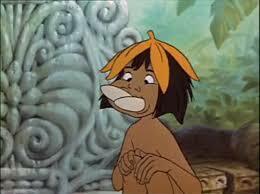 Bonus Fact: This clip was Walt Disney’s all time favorite piece of animation. This was drawn by Marc Davis, one of Disney’s Nine Old Men.